The BMW S 1000 R is a close relative of the BMW S 1000 RR. Like most manufacturers, BMW realised that there is a big market for the ‘toned down’ version of the S 1000 RR superbike. So they removed one “R” from its name, and made it cheaper, lighter, and slightly less powerful. 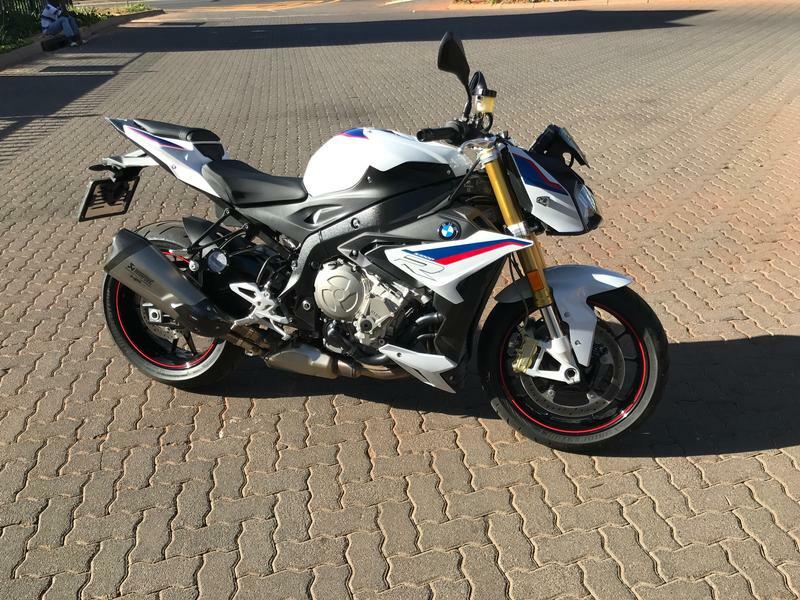 The initial feeling might be “why bother buying one, then?” But, even though the S 1000 R has less power than the S 1000 RR, it’s not that obvious. This is because the BMW S 1000 R’s weight loss compensates for the loss in power. 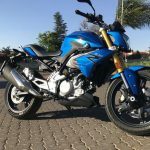 If you are the type of rider who is used to riding a 1000cc motorcycle, you may find the S 1000 R a bit too well-behaved, but if you are a rider who wants to upgrade to a 1000 cc for the first time, this bike is perfect for you. 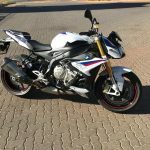 Let’s look at the updates made to the BMW S 1000 R for 2017, and why this is such an amazing bike to have. Firstly the horsepower is increased from 160 to 165 for the latest version. This may not sound like a lot, but keep in mind with the weight taken off the frame (compared to the RR), it’s a substantial amount of extra power. The new S 1000 R also comes standard with the HP titanium rear silencer that just adds beautifully to the sporty look & feel. The vibration free handlebars is fantastic. There is nothing worse than riding a bike long distance and feeling that constant tingle in your hands from the handlebars once you climb off. One of the most obvious changes is the fairing, where the new look is a lot more aggressive and better looking. 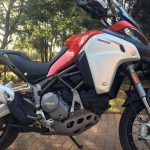 Great colour options are now also available: Racing Red non-metallic/Blackstorm metallic, Catalano Grey non-metallic and BMW Motorsport (Lupine Blue metallic/Lightwhite non-metallic/Racing Red non-metallic). Some other fantastic options to consider is the HP Shift assistant Pro. It’s a great mechanism on the 1000 RR and is now available on the 1000 R as well. It assist with up and down gear shifting without a clutch. Some naked bike competitors include the Suzuki GSX-S 1000 F, the Aprilia Tuono V4 1100 RR and the 2017 Yamaha FZ-10. What do these bikes have in common? 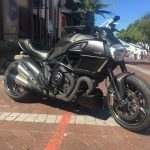 They are all lighter, sportier and easier sports bikes to throw around with ample (if not more) pure fun when riding it through twisty roads. 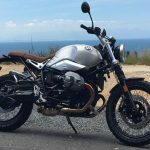 Each of these bikes have their own unique and lovable characteristics, but if you are a BMW supporter, you can be rest assured you will be more than pleased with the new BMW S 1000 R!